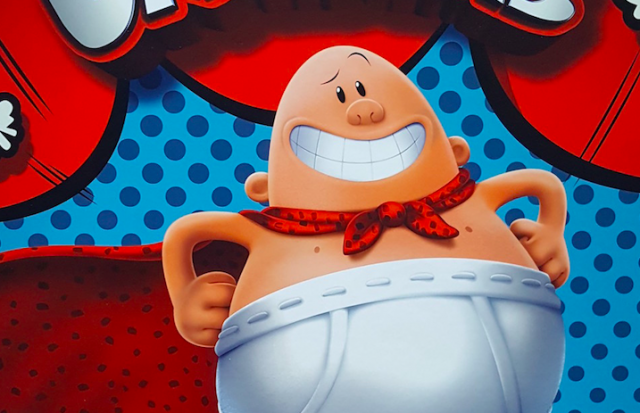 Nearly everyone who grew up in the early 2000’s remembers Captain Underpants– the combination of prose, comics, and “flip-o-rama” made the series a hit with elementary and middle school students alike. Twenty years after author Dav Pilkey released the first book in 1997, DreamWorks is making an animated movie to be released in 2017. To curb our excitement for the upcoming movie, join us as we reminisce with these 5 graphic novels from the series. 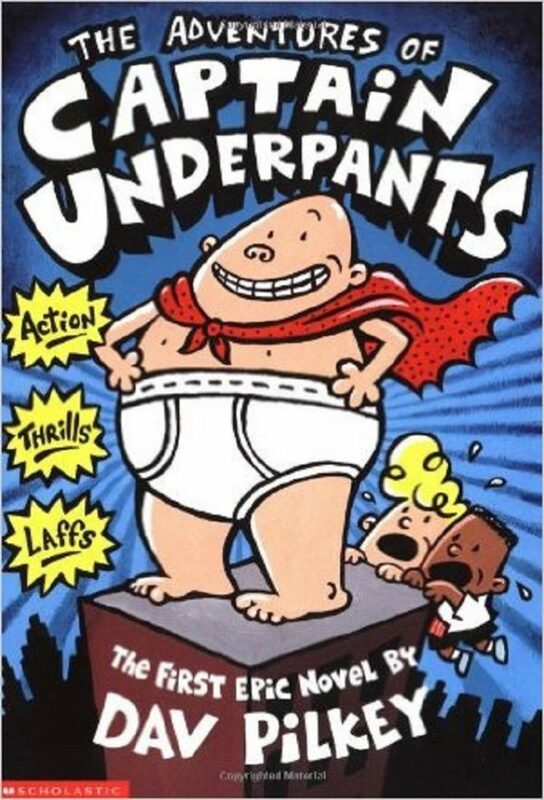 The Adventures of Captain Underpants by Dav Pilkey won the hearts of adolescent boys everywhere and proved that reading could be fun. Starring two fourth grade trouble makers, the first book in the Captain Underpants series is a laugh out loud story that follows George and Harold as they hypnotize their principal into thinking he is the super hero from their comic books. 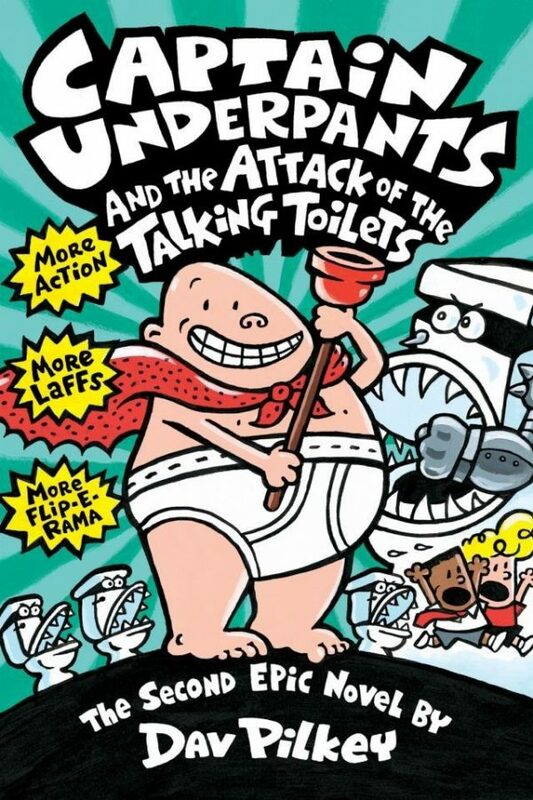 Captain Underpants and the Attack of the Talking Toilets is just as amusing as the first. After writing a new edition of their comic strip, George and Harold inadvertently make their imaginary Turbo Toilet 2000 come to life and their hypnotized principal must try to save the day. The third novel (very interesting and long title above) came out shortly after Attack of the Talking Toilets. In this adventure, George and Harold get blamed for the actions of the aliens that have come to attack their school and must find a way to protect their fellow classmates before its too late. 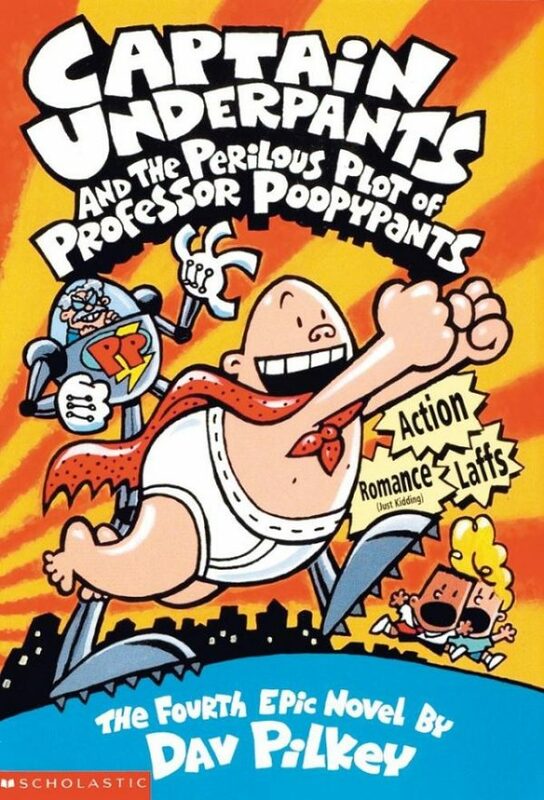 The fourth installment of the series, Captain Underpants and the Perilous Plot of Professor Poopypants, follows George and Harold as they get a new science teacher with a very amusing name. Professor Poopypants is so sick of people making fun of his name he comes up with a plan to force everyone in the world to change their names to ridiculous things. 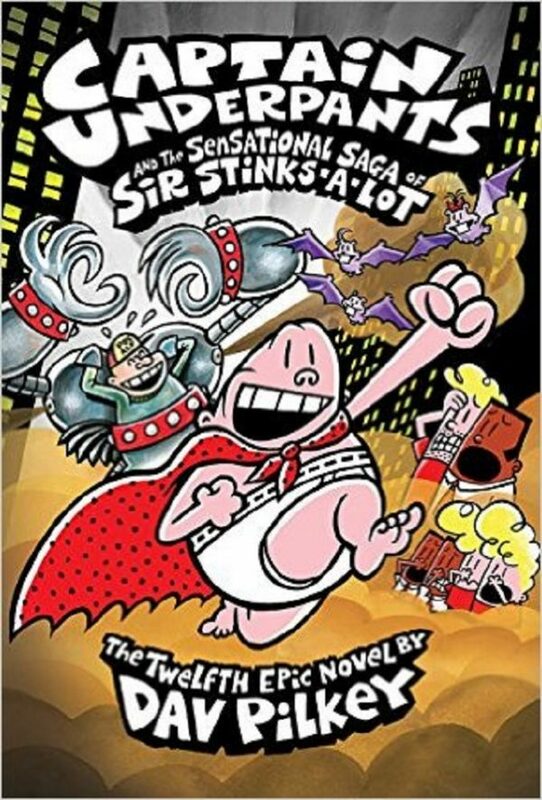 The Captain Underpants series still continues with the most recent (12th) installment released in 2015: Captain Underpants and the Sensational Saga of Sir Stinks-A-Lot. The evil gym teacher, Mr. Meaner, uses mind control to turn the students into “perfect” children and George and Harold must once again save the day! No official trailer has been released for the new movie but I can’t wait to see what it will contain! Will you be going to see the film in 2017? Previous articleAbraham Lincoln Wrote A Murder Mystery – And It’s Actually Pretty Good! Next articleGo On A Writer’s Retreat With Margaret Atwood!